Botswana is a land-locked country bordered by Zambia and Zimbabwe to the northeast; Namibia to the north and west and South Africa to the south and southeast. More than 80% of its 581,730 sq. km. is dominated by the Kalahari Desert - which extends far beyond Botswana's borders into Angolo, Namibia and South Africa. It is the unique Kalahari Desert and the other jewels of Botswana -- the Okavango Delta and Chobe National Park - that draw wildlife enthusiasts. More than 17% of Botswana's land area has been set aside as protected - and another 20% is under wildlife management. 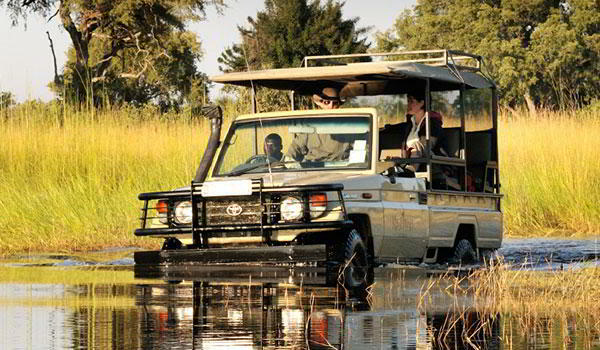 The Okavango Delta is the world's largest inland delta. Each year, the rains that fall in Angola make their way down into Botswana and spread over the sandy spaces of the Kalahari to form an amazing labyrinthine channel, creating a green oasis that attracts birds and animals alike. 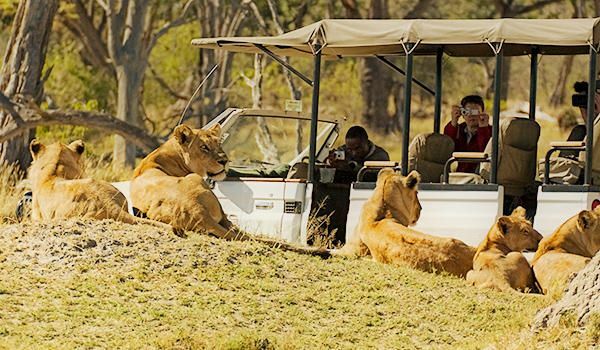 After East Africa's Serengeti and Masai Mara, Chobe National Park may well be one of the world's most famous national parks. It is Botswana's second largest national park and is perhaps best known for its huge elephant population - at last count numbering up to 120,000! The Makgadikgadi Pans was once a huge lake that covered much of what is now northern and central Botswana. About the size of Portugal, this former "super-lake" floods in the rainy season, drawing an amazing array of birdlife and animal life.